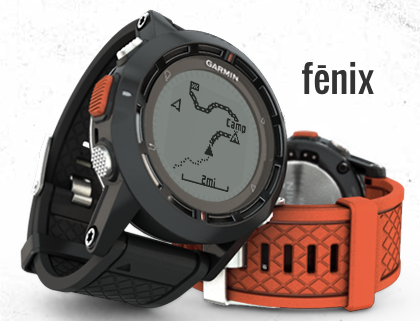 I bought the new Garmin fenix watch. I like it. So far, I've only used it on a couple hikes. 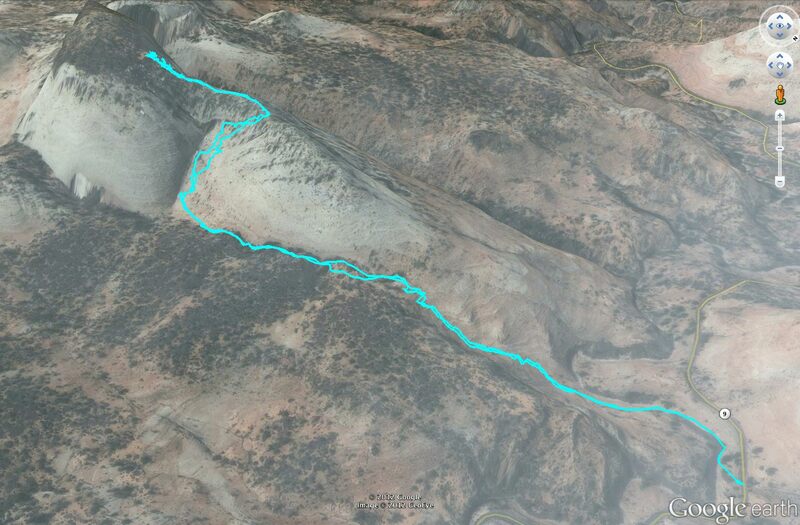 This is a vast improvement over my other GPS receiver: Magellan SporTrak Topo. There's only one feature the Magellan has, and the Garmin lacks, that I miss. The Magellan has a pre-loaded topo map of the US. That's a nice feature. But to be honest, I never truly used that. Over the years I found myself largely using the breadcrumb track, distance, and altitude features most, and the Garmin has those. The Garmin is really easy to use. The display pages seem to be well laid out. I can even operate the buttons wearing gloves. I've only used a small fraction of the features. Hopefully I can remedy that on some upcoming hikes. Getting the data off the device was easy. I plugged it into the USB port on my mac and it mounted the device. 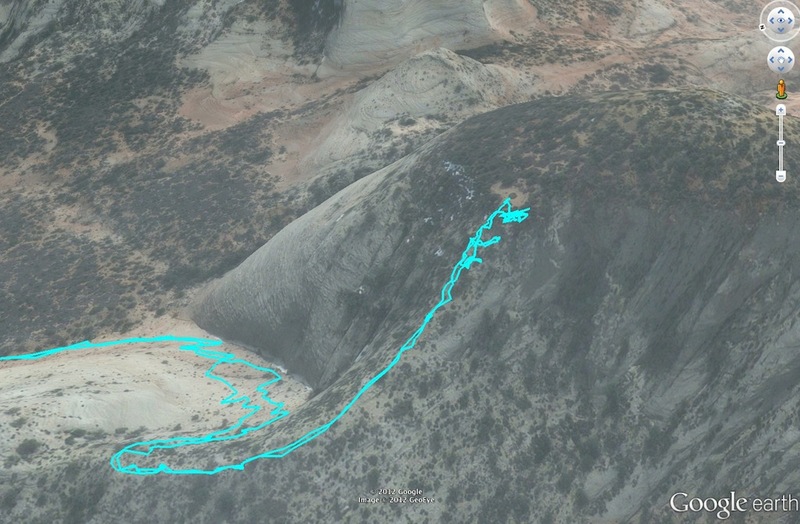 Then I simply dragged off the gpx files. I used the GPS Visualizer web site to convert the gpx files to kml files. 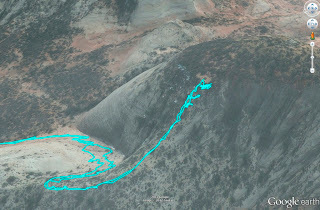 Here are a few screencaps of one of my hikes on Nippletop in Zion NP. You'll see from the tracks that I did not reach the summit. The fenix is a bit bulky, and I scraped it a bit on the rocks. I'll just have to be more careful.